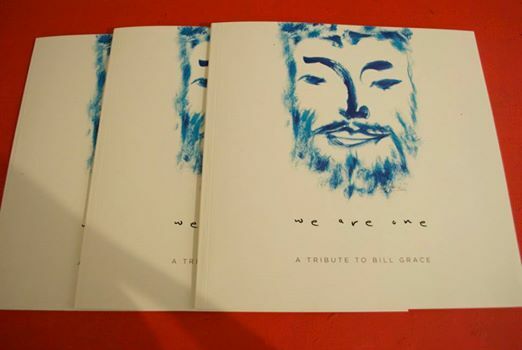 The following article appeared in the catalogue for the memorial exhibition, « We Are One: A Tribute to Bill Grace, » organized by PUNCH Creative Arena at the Barbados Community College, October 22-November 5, 2014. It was mid 1980’s when I first met Bill. I was attending a meeting of the first CXC Art and Craft Syllabus Planning Committee led by the late Dr. James Boodhoo, Trinidadian artist and educator of merit. Bill was wearing a flowered shirt and as he spoke I concluded he belonged to the 1960’s “Flower Power” movement. I thought he was perhaps one of the last of them seeing that by then the movement had significantly declined. It took several meetings over a period of time to realize that he genuinely believed in the movement’s fundamental philosophy which had Buddhist overtones of universal love and respect. Bill’s generosity of spirit was and continued to be the basis of his interaction with everyone. While on sabbatical leave from the University of Guyana I became a student of Bill’s to be initiated into the mysteries of working with clay. The reason being that my approach to 3-D work was using the reductive method as in carving. I felt uncomfortable using the additive method as in modeling. It was here that I came to see and understand Bill’s approach which at the time was totally additive based on ceramic work. We used clay from Chalky Mount and I went through exercises learning to use the potter’s kick-wheel. Bill was a consummate user of the wheel and could throw individual pots at speed or one after the other from a mound on the wheel when doing sets of cups, beakers or small bowls. It was quite instructive and entertaining to see Bill working at full flight. The forms just seemed to emerge organically or magically between his fingers. What caught my attention as well was the creation of forms, spontaneously, intuitively, without sketches. Surface decoration was treated in the same manner… a Zen approach to making. I took the opposite approach because while the wheel determines form, my imagination suggested the creation of asymmetrical forms hand built. Not being interested in speed of production, I even hand-built symmetrical forms that could have been wheel thrown. As Bill pointed out there is a marked difference between the two. While both forms are static there is more life in the hand built pieces because of subtle changes on the surface and in the profile. 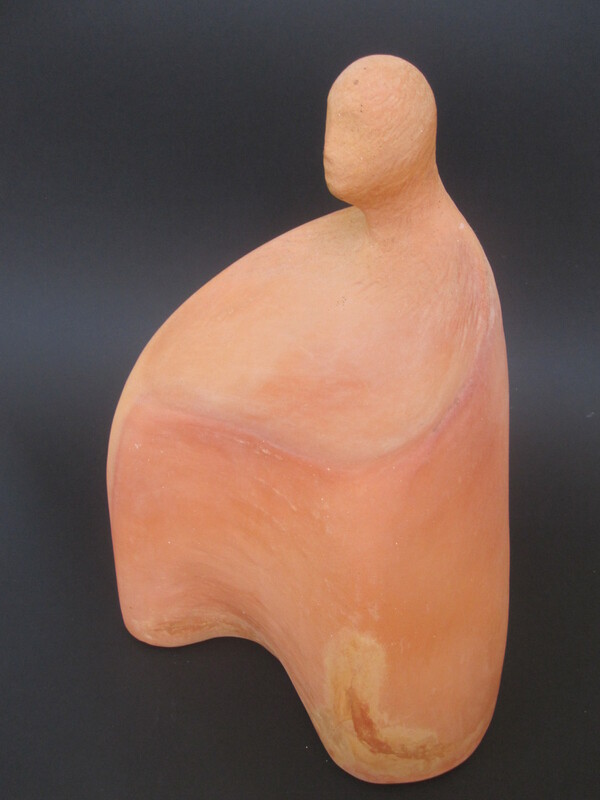 The reason therefore why he carved the surfaces on many pots was to create effects of movement and vitality. Bill, despite my attempts of encouragement, was not totally interested in commercially viable utilitarian ware – cups, beakers, teapots, bowls, platters and covered dishes – although he did produce such from time to time. He followed the tradition of the Fine Craft studio potter, in dealing with one-of-a-kind pieces. During conversation I learnt that he had studied with John Reeve by way of Bernard Leach and the Japanese “living Treasure” Shigekichi, hence the Zen like approach to pottery. According to Bill, this made him a 3rd Kenzan, that is three degrees removed from the Japanese Master, which made me a 4th Kenzan. Judging by my slow tortuous efforts in working clay, I did not think myself worthy of the title and so it became a source of humorous exchanges. The information about his training made me understand Bill’s commitment to the intuitive approach, but it became obvious that this was really Bill’s way of dealing with all manifestations of what we call reality, and it had to be respected. There was no doubt that his way of working gave a certain vitality to some of his pieces that negated tight wheel thrown forms. He would use tools to “attack” the surface making marks in an overall or limited pattern. Another technique was using wooden paddles, some wrapped in cord, to alter the form of wheel thrown pots. This method of creating visual and tactile surfaces was put to great service in the creation of Mandalas. While these serve as great decorative items, their use for meditative purposes as symbols of wholeness, seems more valid and would be in keeping with the role of spirituality in our lives, which was central to Bill’s philosophy of being. were placed in the centre and which, after firing, created glazed pools reminiscent of the colour of the sea. The same technique was effectively used to produce ceramic tiles for composing Mandalas. On terra-cotta ware Bill used gestured Japanese/Chinese calligraphic brush strokes to create marks of a lively character differing from the measured and predictable. Different coloured low-firing glazes were used. It meant that colours were not changed during firing as in the case of the high–fired glazes used on stone-ware which produced muted colours. Bill’s intuitive approach created a sense of danger (fun or adventure would be his response) in that mistakes could not be corrected but possibly modified to make visual sense. His artistic ability prevented such an occurrence. Bill’s firing techniques included multiple glaze firings in electric kilns to produce colour transparencies on terra-cotta ware. The introduction of combustible material in gas fired kilns produced carbon that combined with glazes to produce the random effects beloved by Bill. For this reason the almost similar technique of raku firing appealed to him though he did not often practise it. Opening a kiln always provided moments of excitement to see what transformations had taken place. Disasters were extremely rare and usually limited to cracks. I was told that if these appeared in important pieces the cracks could be filled with gold leaf – a Chinese/Japanese practice. The unpredictable had great appeal to Bill perhaps because it symbolized change and potential for change. Molecular physics has proven that nothing is static despite appearances. Bill and I, in a friendly manner, occasionally parted company when it came to his approach to firing pots. He would try to set things up to make “creative accidents” or “surprises” in glazes where I preferred the opposite. In terms of the European classification of temperament one could say in general terms that Bill was Dionysian and I Apollonian. One such “accident” with an important pot of mine was described by Bill, smiling as the pot ”having gained character”. I thought it could do without this and in my mind wanted Bill to be confined for a few months in a certain region not unlike the interior of his kiln when fired up. The lessons learnt from Bill were not confined only to clay but also what generosity of spirit meant in practice. I learnt not to praise certain pieces too much otherwise Bill would immediately offer them as gifts: “You can have it”. I once therefore did not comment much on a large porcelain piece, part of a rare collection in that medium, that he had produced in Israel, and which was on sale. I did not have available funds and so settled for a much smaller item. Eventually, greed did make me accept a few pots from Bill. I rationalized this, telling myself that total rejection of such offers might indicate a rejection of friendship and would not sit well with him. 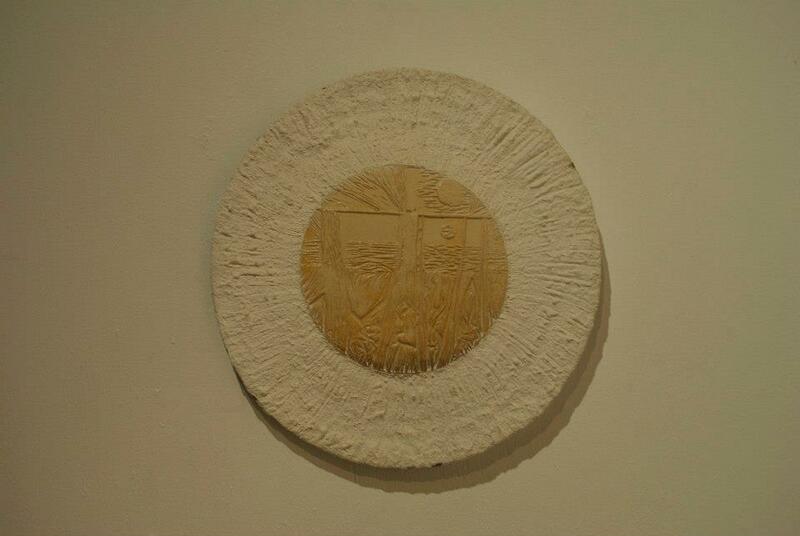 Bill Grace was undoubtedly a master ceramic artist whose work will stand scrutiny anywhere. Grace by name and conduct will ever be my memory of him.